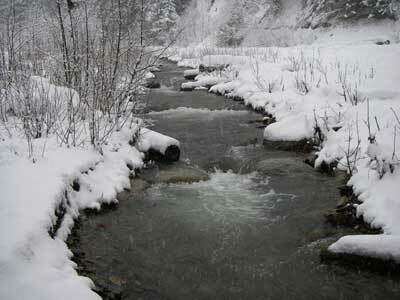 Moon Creek is located four miles east of Kellogg, Idaho, and about two miles north of I-90. It was the abandoned 20-acre Silver Crescent Mine and Mill Complex. It is in a canyon area and the restoration site is at and below the old mine and mill complex. The site serves as a winter range for big game. The abandoned site was left with nearly 130,000 cubic yards of material contaminate with lead, arsenic, copper and mercury. 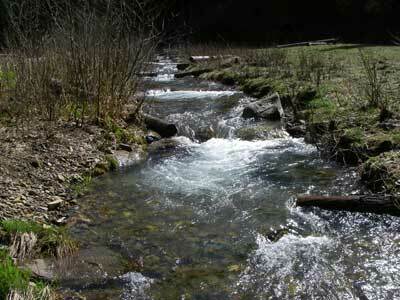 This contamination led to significant injuries to riparian resources, surface waters, and fish. 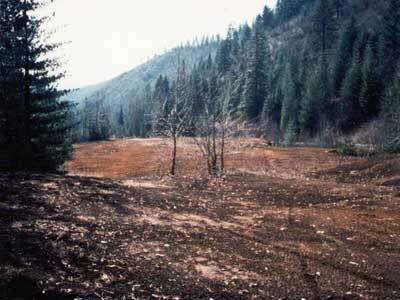 From 1998 through 2000, the USFS implemented a cleanup action at the abandoned 20-acre Silver Crescent Mine and Mill Complex in EF Moon Creek which included moving the contaminated material into an on-site repository. Restoration at the site included vegetative restoration, installation of wildlife and fish habitat structures, stream channel enhancement with grade controls, and treatment of noxious weeds. The Trustees provided for restoration planning and the completion of the final design package. Additionally, the Trustees later provided for ongoing monitoring. This restoration project provided a significant improvement of stream channel stability, fish habitat quality and quantity including over-wintering conditions, riparian areas and wetlands, vegetation, foraging habitat, and wildlife habitat. These improvements will lead to a more healthy wildlife for us to enjoy. This project provides another stellar example of cooperation between partners. 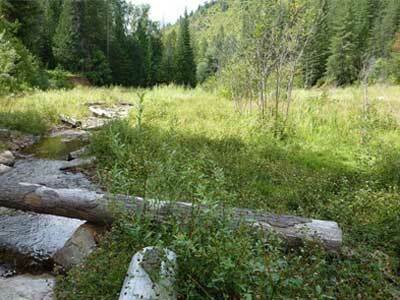 The U.S. Forest Service provided on-the-ground work and a significant amount of funding for the project. The Basin Environmental Improvement Project Commission (Basin Commission), Silver Mountain Ski Area, and Trustees also partnered in this project.